Add one of our many window options for that custom touch Classic or decorative, Clopay has a window option to complement your home. You can choose from classic windows in single pane glass, Plexiglas or obscure glass for extra privacy. Or you can customize your residential garage door by adding a designer touch from our line of decorative windows and inserts. 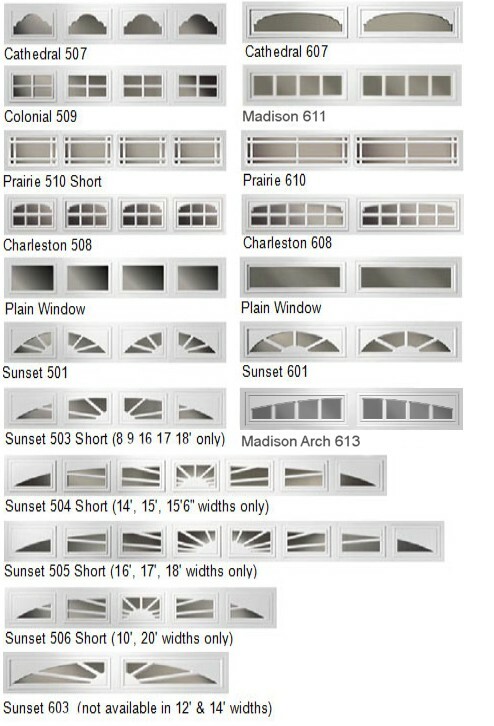 Designer Collection Garage Door Windows are made of tough acrylic for safety and durability. Choose our new Wrought Iron windows to provide the beautiful look of handcrafted forged iron. Also available are our Studio Series with platinum-look coming and in the Leaded Series with brass-look and/or zinc-look coming. Brilliance™ Series Windows create the illusion of real beveled glass utilizing new optical film technology applied to double strength glass. Decorative Insert options can add a whole new look to your garage door. Color-matched designs are available for single or double doors.